Consumer Financial Protection Bureau will regulate debt collectors starting Jan. 2. For the first time in history, debt collectors -- the guys who hound you over unpaid bills -- are about to get a tough federal regulator scouring their books. The Consumer Financial Protection Bureau on Wednesday finalized a new rule to oversee and regulate the largest U.S. debt collection agencies, starting Jan. 2. The move could impact consumers nationwide. Some 30 million Americans have debt under collection, with average unpaid debt around $1,500, according to the bureau. Under the new rule, examiners from the consumer agency can march into the offices of large debt collectors to ensure they're giving consumers a fair shake. They can evaluate debt collectors to make sure they are clearly and accurately identifying themselves, truthfully disclosing the amount of debt owed, and not attempting to collect debt that doesn't exist or has been paid off. Thanks to the Dodd-Frank financial reform act, the consumer financial watchdog can already create and enforce rules on the debt collection industry. The new rule will give it special oversight power over companies with more than $10 million in receipts. 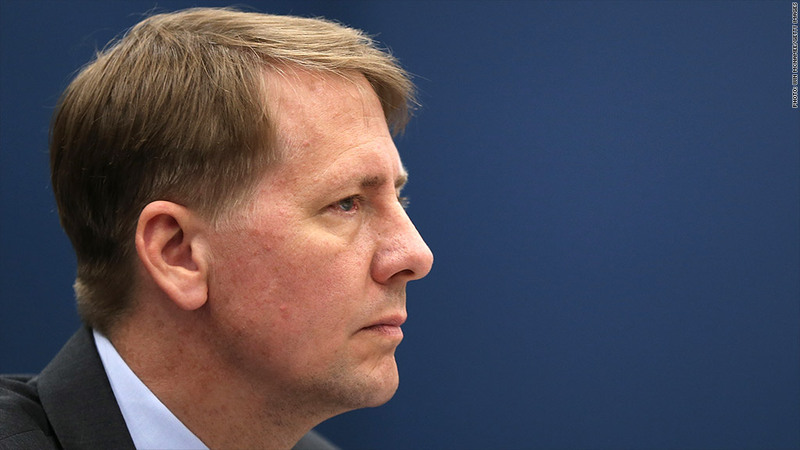 "Millions of consumers are affected by debt collection, and we want to make sure they are treated fairly," said CFPB Director Richard Cordray in a statement. "We want all companies to realize that the better business choice is to follow the law — not break it." The bureau says the rule will impact about 175 companies, which account for about 60% of debt that is collected. However, that still means that a large number of the 4,500 debt collection companies in the United States will escape the bureau's close oversight, because a vast majority of them are small companies. The consumer financial watchdog, which was launched last year, has recently gone after credit card companies American Express (AXP), Discover (DFS) and Capital (COF) One to refund millions of dollars back to their customers for deceptive practices.